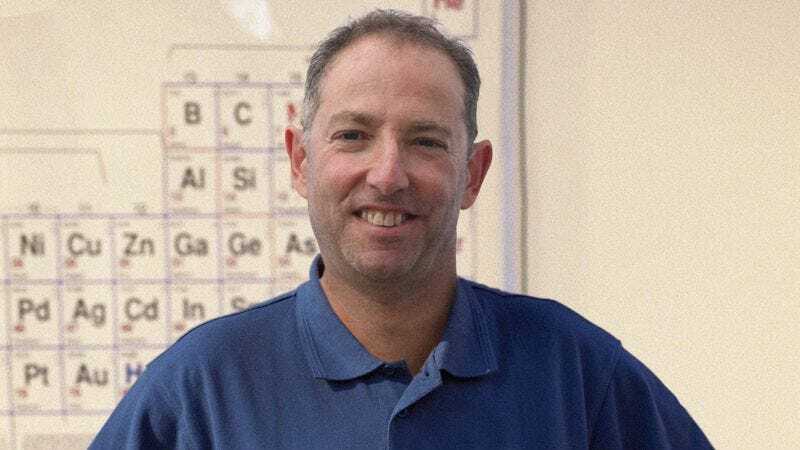 STOCKHOLM—In recognition of his contributions to the field of making sixth-grade chemistry fun, Taft Middle School teacher Peter Ambler was awarded the Nobel Prize in Chemistry on Monday. “Mr. Ambler is pretty chill, and he makes jokes and does cool activities and stuff, which is awesome because he doesn’t make chemistry seem all boring and lame,” read an announcement from the Nobel Prize committee, adding that the 46-year-old teacher is “super dorky about science” but is otherwise nice and doesn’t grade that hard. “He does a lot of fun experiments and stuff instead of just worksheets and tests. He’s not all strict like Ms. Caputo. And on Halloween he’ll usually come in dressed up as, like, a molecule or something funny like that. He’s pretty cool.” According to Nobel officials, what really put Ambler above the competition for the $1.2 million prize was a few months ago when he showed how you can make a battery out of a grapefruit.